Old Mountain Road in the Sentinel Range Wilderness has been the subject of legal battles for more than a decade. 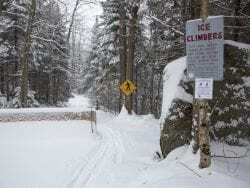 The state says it was long ago abandoned, but Jim McCulley, president of the Lake Placid Snowmobile Club, contends it remains a town road and should be open to motor vehicles. The “road” is part of the Jackrabbit Ski Trail. On Wednesday, legal arguments were heard by the Appellate Division of State Supreme Court in Albany. Following is a news release from the Adirondack Council, which is a party to the case. ALBANY, N.Y. — The Adirondack Council was in court here today to defend wilderness, urging a panel of state judges to reaffirm the state’s right to close former local roads and turn them into trails on the state-owned Adirondack Forest Preserve. Adirondack wilderness areas comprise almost half of all Wilderness in the Eastern United States. While all Adirondack Forest Preserve lands are protected as “forever wild” by the NYS Constitution, less than half are classified as Wilderness, where no mechanized travel or motors are allowed. 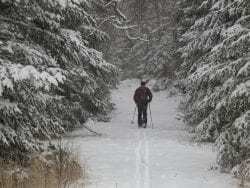 The Town of North Elba in Essex County is challenging the state’s right to close the former Old Mountain Road, now a trail through the Sentinel Range Wilderness Area known as the Jackrabbit Ski Trail. The case is being heard by the NYS Supreme Court’s Appellate Division in Albany, which heard oral arguments in the case today. “The stakes are huge in this case,” Janeway said. “That’s why we petitioned to become a party to the lawsuit and why we are in court today to defend decisions made by the state. 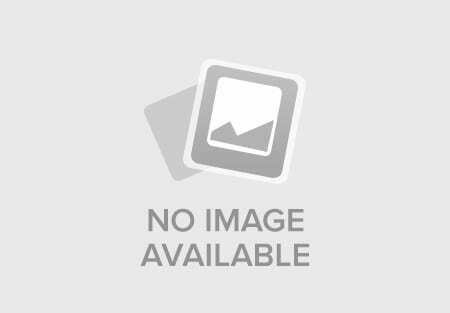 The case (North Elba vs. NYS Dept. of Environmental Conservation) stems from the state issuing a ticket to James McCulley of Lake Placid for driving his pickup truck on a portion of the Jackrabbit Ski Trail in the Sentinel Range Wilderness Area. The trail runs through three Essex County towns, all located inside the Adirondack Park. In the initial order, the DEC ruled that the trail had not been legally closed by the state. This ruling raised objections from conservationists and legal experts, who felt it was in error. A subsequent administrative ruling by DEC reopened the case. A third decision declared the road to have been closed lawfully. McCulley said he was unhappy with the road closure and filed an Article 78 lawsuit against the state to reopen the trail to trucks. The Town of North Elba joined the suit. The Adirondack Council is a party to the case. The state’s Adirondack Park Agency had certified that DEC’s classification recommendation for the Sentinel Range Wilderness Area complied with the state’s Adirondack Park State Land Master Plan. The Council is defending DEC’s authority to close roads in wilderness areas. 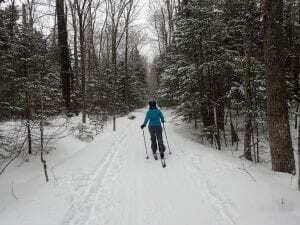 The Jackrabbit Ski Trail was once known as the Old Military Road, then the Old Mountain Road. It was replaced with the current State Route 73 through Cascade Pass, which links Keene to Lake Placid alongside Upper and Lower Cascade lakes. The ski trail is named for H. Smith “Jackrabbit” Johannsen who was instrumental in the development of ski trails in Lake Placid area in the 1920s. The Adirondack Council was represented in today’s oral arguments by J. Michael Naughton of Young Sommer LLC in Albany. The Adirondack Council is a privately funded not-for-profit organization whose mission is to ensure the ecological integrity and wild character of the Adirondack Park. The Council envisions a Park comprised of core wilderness areas, surrounded by farms and working forests, as well as vibrant, local communities. Have you skied Old Mountain Road? It may be selfish of me to say this but I think every road that they can close they should close. I would argue that, if anything, that the Old Mountain Road needs MORE attention, not less. Our car was recently hit by a tumbling rock while my wife was driving through the Cascades to get to work in Saranac Lake, and there have been several incidents just over the last six months (one just last week) suggesting that route is becoming unsafe. Until Cascades is PROVEN to be sound it seems crazy to demand the old route be allowed to go fallow.